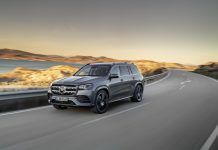 With the release of the latest edition of the G-Class last month, Mercedes-Benz affirmed the on-going development and sales of their oldest SUV line up. For the record, it has been in production now for 33 years! 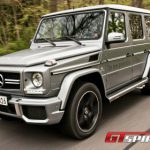 The Mercedes-Benz G-Class or G-Wagen, short for Geländewagen (or cross-country vehicle), has entered the 2011 model year and we got the change to take a look at the latest member of the family; the G 63 AMG. Let’s start with a history lesson and some sales figures. The G-class was developed as a military vehicle at the suggestion of the Shah of Iran (one of Mercedes largest shareholders at the time) and offered as a civilian model in 1979. 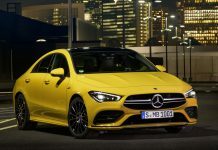 With vehicle sales of around 6,600 last year, 2011 offered the best sales figures in seven years and Mercedes hopes to extend this through to 2012 with the new model. The secret of its success lies in the combination of its cult status and a high demand for SUVs in the Middle East and China. The G-Class is offered with a range of different petrol and diesel engines and as two model variants; a short-wheelbase cabriolet or a long-wheelbase station wagon. The new model series has a range of new appointments, upgrades to the cabin and a few discreet external modifications that preserve the design which remains virtually unchanged since 1979. 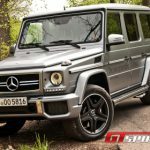 Our road test G 63 AMG Wagon included them all! The most noticeable difference to the AMG lineup for the new G-Class is the introduction of a new turbocharged powerplant. 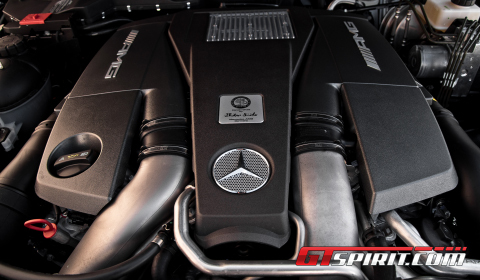 It’s the same engine you find in the new ML 63 AMG. 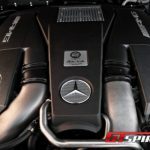 The AMG 5.5 liter V8 biturbo engine follows the trend of fitting turbocharged engines in AMG cars and replaces the previous G 55’s supercharged 5.4 liter V8. The new engine develops a maximum output of 544hp and a torque of 760 newton meters. 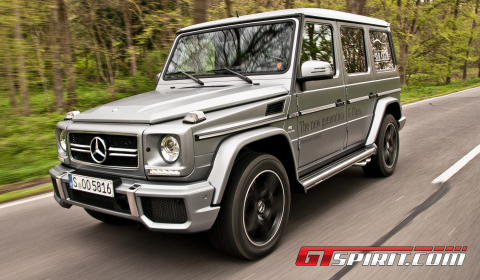 This enables the G 63 AMG to accelerate from zero to 100km/h in just 5.4 seconds, with a new top speed of 210km/h. 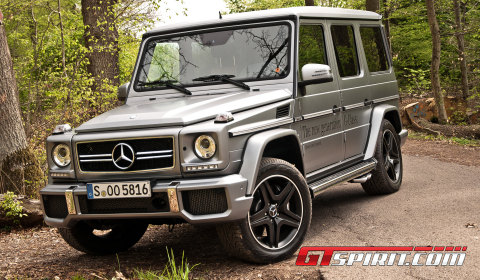 It outperforms the G 55 AMG Kompressor by 37hp and 60 newton meters. The additional torque level is felt in the lower rev-range of the engine. The 5.5 liter AMG feels slightly more torquey and produces a darker and more distinct exhaust sound track from the back. This G 63 AMG is a serious off-roader with enough power to murder most sports cars. The engine is linked to a fast shifting seven-speed automatic gearbox, which goes by the name of AMG Speedshift Plus 7G-Tronic. The transmission has three drive modes and an automatic double-declutching function for downshifting. In Controlled Efficiency (C) mode, the new ECO start/stop function is active, shutting down the eight-cylinder engine when the vehicle is stationary. In the Sport (S) and Manual (M) modes, luckily the ECO start/stop function is off, and you have shorter shift times, later gear changes and sportier power delivery. The gearbox as a whole offers a good combination with the new engine and produces the correct and immediate shifts when requested in a large and heavy SUV like the G-wagon. In essence the G-Class basic setup remains the same. You still have the same tough ladder frame chassis, solid axles at the front and rear on coil springs and a powerful four-wheel-drive layout offering you three differential locks (center, front and rear). Mercedes-Benz added extra refinements to the layout, addressing the SUV’s road handling characteristics. 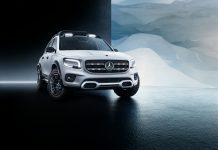 It retains its capabilities as a competent off-roader, but few will leave the boulevard, so the Germans installed new suspension/damper settings in the AMG Sports chassis for more dynamic handling characteristics and optimised bearings for the automatic gearbox, transfer case, engine cut vibration and noise levels. The wheels and brakes are also completely new. The G 63 AMG runs on new AMG 5×2 spoke light alloy wheels as standard equipment. The 9.5×20 titanium-grey-painted wheels with high-sheen finish are fitted with 275/50 R20 tires. As an option, the vehicle can be fitted with matt-black-painted AMG light alloy wheels with high-sheen rim flanges. All-round ventilated, perforated brake discs with dimensions of 375×36 millimeters at the front and 330×20 millimeters at the rear have also been fitted. The front axle has a six-piston fixed-caliper braking system taken from the ML 63 AMG, with a single-piston floating-caliper system on the rear axle. The brake calipers are painted red around the entire circumference, but they are also available in silver. The off-road truck design of the G-Class received some minimal refinements distinguishing the new AMG G-Class from its ancestors. The new face of the AMG brand is clearly visible in the high-gloss black twin-blade radiator grille with its four chrome inserts and the new AMG bumper including three airflow inlets for the cooling module. New LED daytime running lamps fitted below the bi-xenon headlamps finish off the new front look. As before, the AMG model line has wider wheel-arch flares, stainless-steel running boards and side protective strips with stainless-steel inserts. Other features include the V8 biturbo logo on the front mudguard and G 63 AMG type plate on the rear door. The changes on the outside and under the hood continue on the inside with the usage of designo leather upholstery with ruffled leather door paneling, AMG carbon fiber trim and several new features on the dashboard. There is a new instrument panel and infotainment and assist systems. The G 63 AMG has an AMG instrument cluster with color TFT screen, AMG main menu and separate gear display, plus white-lit AMG sills on all doors. The space inside the interior is rather modest for such a big SUV. Tall people will have as much difficulty putting their legs forward in the front as in the rear. The best seating position is reserved for the driver. The main infotainment unit is similar to the system used in the new A-Class and looks rather cheap. The same can be said for the rear passenger entertainment system which is not included in the head rests. Even though the interior refinements are upgraded, the G-Class Wagon feels far from comfortable and spacious if you look at its main competitors the Range Rover Vogue, the BMW X5 M and the Porsche Cayenne GTS. Same goes for the characteristic resounding thunk when you close the doors, by this we mean that it both sounds and looks like a bank vault. A similar sound is heard when the central door locking system locks the doors above a certain predefined speed. Not particular a tune you would expect from an AMG SUV, but it fits in the G-Class. The massive 2.5 tonne weight and the G’s height compromise its dynamic capabilities for the road. Given its excellent off-road heritage, the G-Class is not the best choice when you only travel on tarmac. There is more than enough body roll in even modest turns and its feels ponderous in tight corners. The steering feels slightly slow and a bit dead, but we imagine it would be excellent cutting a trail through the Arabian dunes. With the new G-Class, Mercedes haven’t changed any of the core characteristics. Instead, the Germans polished and refined the key values. It is still that army-based super off-roader with a spare wheel mounted on the back. Yes, it offers more refined inside the cabin, but not up to the standards set, for example, by the Range Rover. It is not an ultimate highway eating SUV like the Cayenne GTS nor as sporty as a BMW X5 M. Instead, the G-Class is in a world of its own. It’s capable of climbing the world’s toughest terrains while you are wearing your suit and with the added bonus of a new raw turbocharged V8 sound track. Interested? It means you have to live with all its minor faults and pure offroading characteristics. You will also lack the ultimate luxury refinements that its competitors have to offer, but you end up with something you never knew the world really needed.